AstraZeneca shareholder Aberdeen Asset Management believes Pfizer will return with a renewed bid for the British drug manufacturer in six months. Aberdeen Assert Management (owns 2.5% of AZ) says "has confidence" in board but wants "fuller explanation" and suggests Pfizer may be back. "I don't think this is the last roll of the dice" - Anne Richards, Chief Investment Officer, AAM believes Pfizer will return in 6 months. Prime Minister David Cameron has said the Government will continue to talk in a "neutral" role to both Pfizer and AstraZeneca regarding a takeover after the US drug firm saw an increased offer rejected by the British manufacturer. This is a matter for the companies to resolve themselves. The government quite rightly should be neutral in this. What we should do though is always be engaged with both companies - as we have been - to try and make sure that whatever the outcome, British science, British job, British manufacturing, that they get a proper and deserved attention. One of the major shareholders in AstraZeneca has criticised the board following its rejection of Pfizer's "final" £69 billion takeover bid. Richard Marwood, of Axa tells me "very disappointed" by AZ board "not in shareholders interests" and "very hard to do a deal from here"
Labour has welcomed the AstraZeneca board's rejection of an apparently final £69 billion bid by US drug firm Pfizer, while continuing its criticism of the Government for "cheerleading" the attempted takeover bid. Ultimately it is for the shareholders to determine, but it is welcome the AstraZeneca board has remained resolute and sought to act in the best long-term interests of the company and its vital work in developing new life-saving drugs. Pfizer has said today that it will not seek to launch a hostile bid and must not renege on this promise. Where David Cameron and his government have failed to act, the next Labour government will act to introduce a strengthened public interest test to better protect Britain's science base. Read: Is Pfizer's pursuit of AstraZeneca finally over? Shares in AstraZeneca fell 14 per cent upon the market's opening after the company rejected a £55-a-share offer from Pfizer, which the US drug firm described as "final". AstraZeneca chairman Leif Johansson has said he believes Pfizer's £69 billion takeover bid is their final offer. "They say it is their final bid so I have to believe them," he told BBC Radio 4's Today programme. 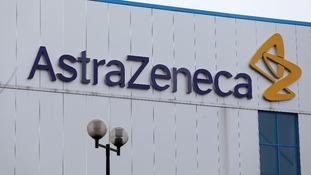 AstraZeneca has urged its shareholders to reject the offer. Mr Johansson said the Pfizer bidding had been "controversial from the start" but it was up to shareholders to decide on its fate. He said the Pfizer offer was "too low", would prove "too disruptive" to Astra's ability to deliver drugs to the market and presented too much of a "risk". AstraZeneca rebuffs "final" offer of £55/share but seems to suggest that it would have recommended a bid of £58+ to shareholders. Pfizer has said its bid is "final" and won't go hostile, its only hope now is if AstraZeneca's shareholders rebel against the board. AstraZeneca has said it has rejected US drug firm Pfizer's £69 billion takeover offer because it "falls short" of the company's value and leaves "uncertainty and risks" for its shareholders. AstraZeneca rebuffs Pfizer offer as "falls short of AstraZeneca's value" and proposals "being uncertainty and risks for AZ shareholders". AstraZeneca says Pfizer bid driven by "cost savings and tax minimisation" + failed to "make a compelling strategic, business or value case"
AZ says Pfizer bid "inadequate" + would have "serious consequences for the Company, our employees and the life-sciences sector in the UK".